Erik Gura: She spoke to me. She told me she wanted to be the vehicle for our culinary expressions & I believed her. Some days I feel like the good bus driver, carefully making all the stops, smiling faces everywhere. Some days I try to stop the runaway bus, usually with mixed results….either way. I get excited to fire up every morning & go for that ride. CS: You're located close to the ferry to Martha's Vineyard. What do you think is the best pie to take on ferry rides? EG: One from Pie in the Sky, of course! Blueberry’s my pick, despite the potential for ruining lightly colored summer clothes. 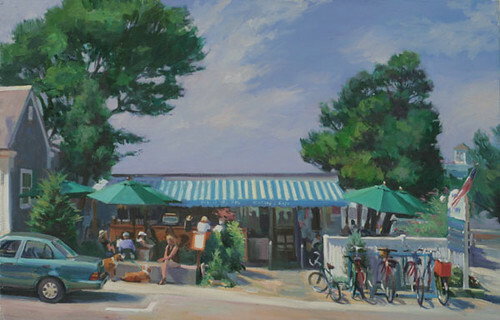 CS: Do you notice a difference in baked good preference between locals and tourists? CS: What is the most important aspect of making a great pie? EG: There is no one critical aspect to a good Pie. Rather, it is the physical manifestation of careful years of training & practice, coupled with a disciplined execution of each & every small detail in the process that comes from the heart and hands of a passionate baker. Oh, and keep both your fat & your water COLD. & don’t over mix! CS: I've been told that since I love cream pies better than fruit pies, I'm not a "true" pie connoisseur. What are your thoughts on this important issue? 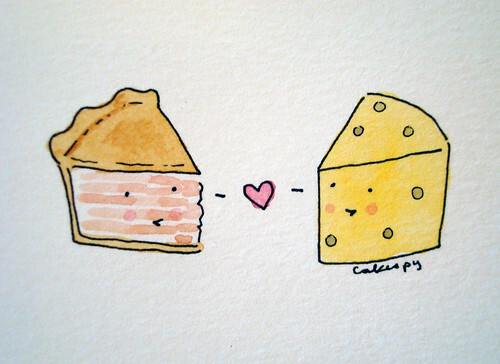 CS: Can you shed any light on the phenomenon of cheese on apple pie for us? 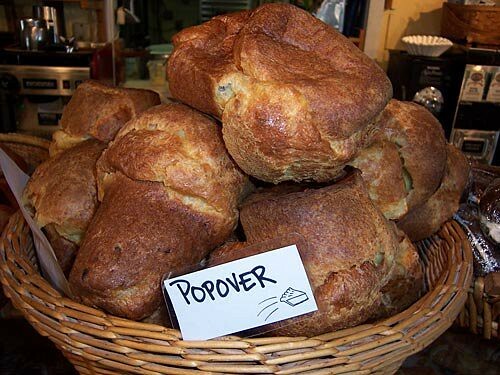 CS: You also offer some breakfast items, but we're curious: what's the difference between a popover and brioche? EG: Volume. With Brioche, you add flour to butter until you can bake it. If you add too much flour, you create something with the consistency of a baseball. With Popovers, you whip up a thin batter & then bake it in a hot oven so it blows up like a balloon. Not enough heat or whipping and you create something with the consistency of a baseball. 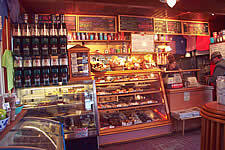 CS: Be honest...if someone came into your cafe and said they were on a low-carb diet, what would happen? EG: We encounter all sorts of dietary constraints on a daily basis…We do the very best with what we have to offer & sometimes there’s just no makin’ it…I’ve noticed some folks actually just want to talk to a real live baker. Like all specialized diets, the low carb thing is a challenge. I suggest sharing…after all, it’s healthy food for an active lifestyle.. Did I mention we stock Sprite Zero…and Diet Dr. Pepper…and Tab…?? 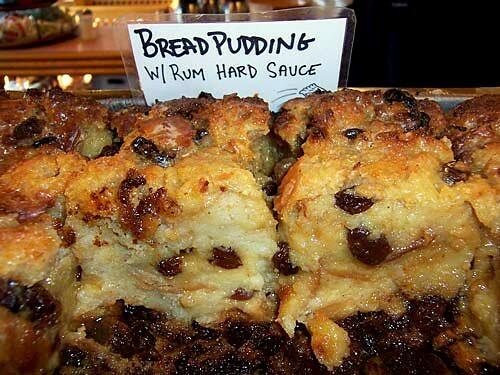 CS: Since we can't be in Woods Hole at the moment to taste it at the moment, can you please describe the glory that is your bread pudding? 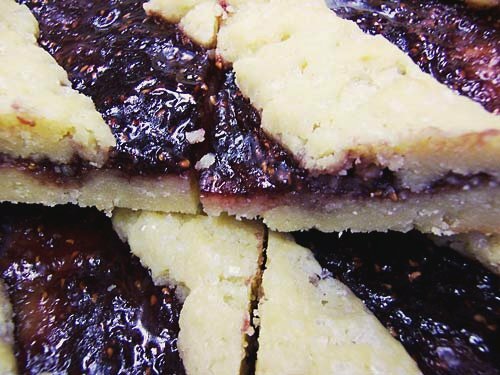 CS: What do you see as the emerging trends in the world of baked goods / desserts? EG: I think there is currently a growing appreciation in this country for artisan quality locally fresh created food of all types. A bit of a run on sentence. I know, but I’m a baker, strong like bull, smart like tractor. CS: What's next for Pie in the Sky? Hungry for more? 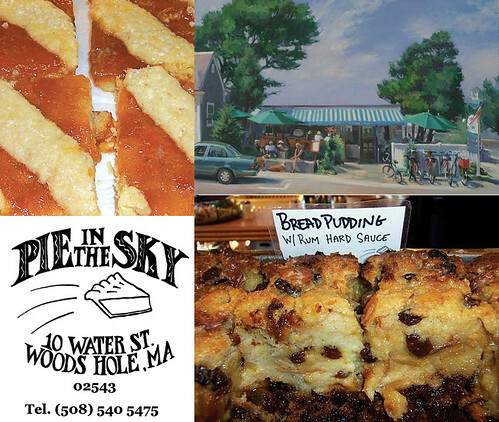 For further insight & additional goodness, check out the Pie in the Sky website at www.woodshole.com/pie--make sure to keep up to date with the “Pie in the News” tab.